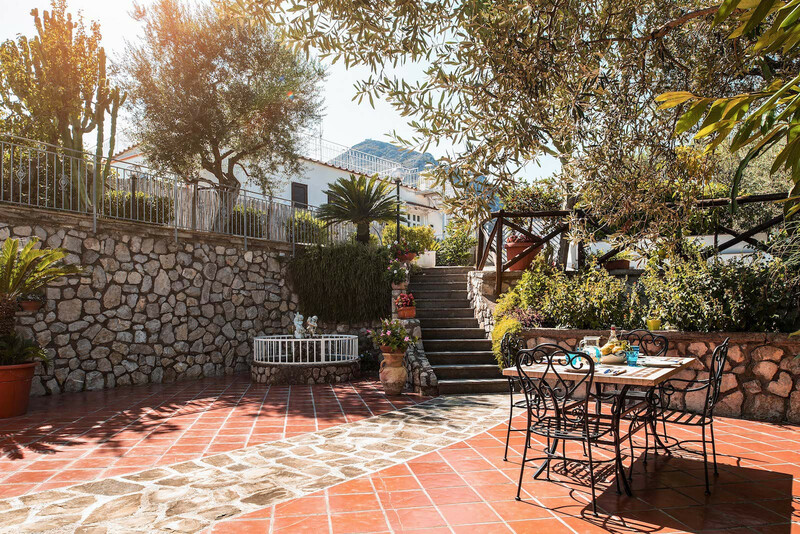 Relais Mamma Mia is a 3 bedrooms villa in Nerano, a village in one of the most untouched areas of the Amalfi Coast. 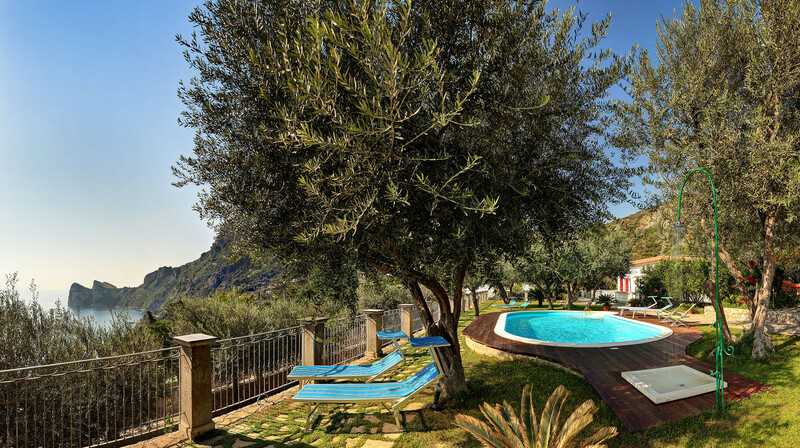 Tucked perfectly within dramatic foothills, Relais Mamma Mia is protected on three sides by rocky slopes covered in ancient olive groves, with just the front of the villa open to an expanse of sea and sky. This position offers complete privacy in an area of intense natural beauty. As soon as you walk through the gates of this gorgeous villa, your eyes will be drawn to the exquisite tile inlay on the steps and driveway. As you stroll through the gardens, you will see this attention to detail in the traditional stonemasonry and tile work. From the large parking area on the top terrace, a stone walkway leads you to the pool area. 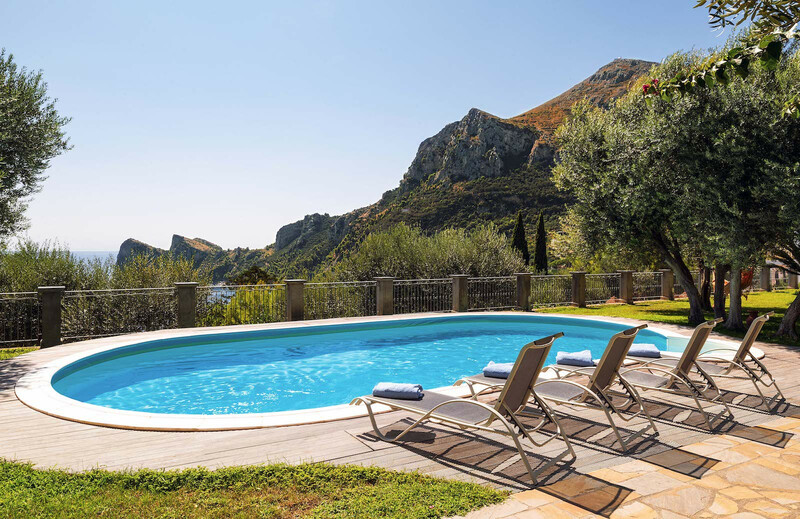 From here, the views are truly awe-inspiring, sweeping across the striking Amalfi Coastline to the Li Galli Islands. 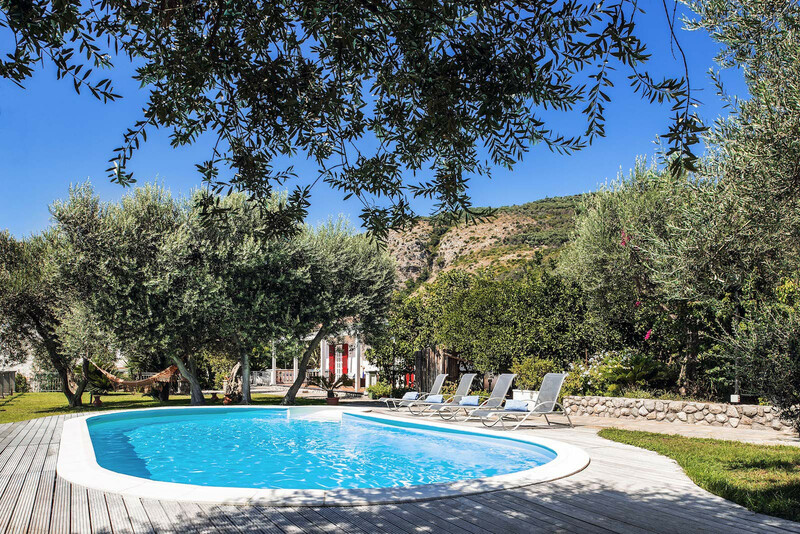 The substantial, in-ground pool is surrounded by a wooden deck and lawn, with plenty of sun loungers on which to relax and an outdoor shower. The pool is open from 1st May until 31st October, and measures 10m by 5m, with the depth ranging from 1.2m to 1.5m. You can access the bedrooms from the garden and pool area, or take twelve steps down to the main entrance on the ground terrace. 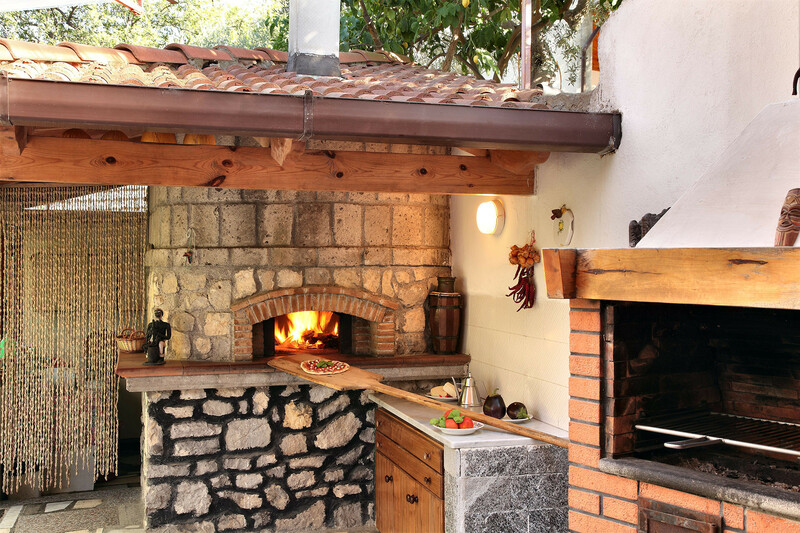 Before you enter, you can appreciate the outdoor kitchen and dining area, boasting a large brick pizza oven, traditional barbeque and dining table. From the kitchen you can also access an internal dining area Why not book one of our private chefs and enjoy a delicious Italian meal made with local ingredients, or have an authentic pizza party? You will love the large living room, with a cosy attached double bedroom equipped with a double bed (brand new in 2019). In the living room there is a large sofa which easily pulls out to become a comfortable double bed to sleep two people, plus armchairs. Bookshelves and a large flat screen television line the walls and there is an attractive open fireplace. In the living room you’ll find another comfortable sofa, plus a large dining table. The perfect place to relax whilst watching television, or using the Wifi connection that is available throughout the property. 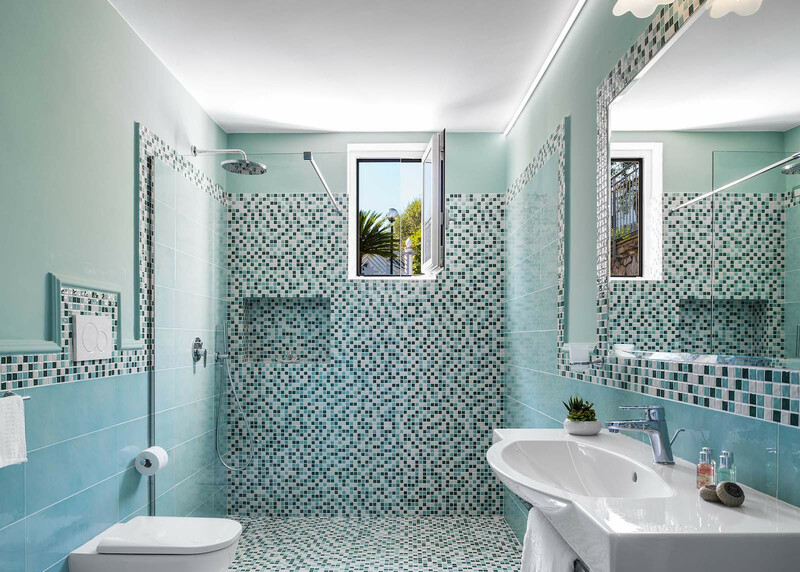 On this same floor you will find a large and stylish bathroom, where you will find a shower, wash basin, toilet, bidet and washing machine. The kitchen is also accessed via the den. Furnished with beautiful marble countertops and wooden cabinets, you will find everything you need for easy self-catering, including a four burner gas hob, gas oven, fridge freezer, microwave, kettle, toaster and coffee maker. Returning to the living room, a beautiful wooden fifteen-step spiral staircase takes you to the master bedroom. On the same level as the pool, the room shares the same spectacular views – truly a sight to wake up to in the morning! 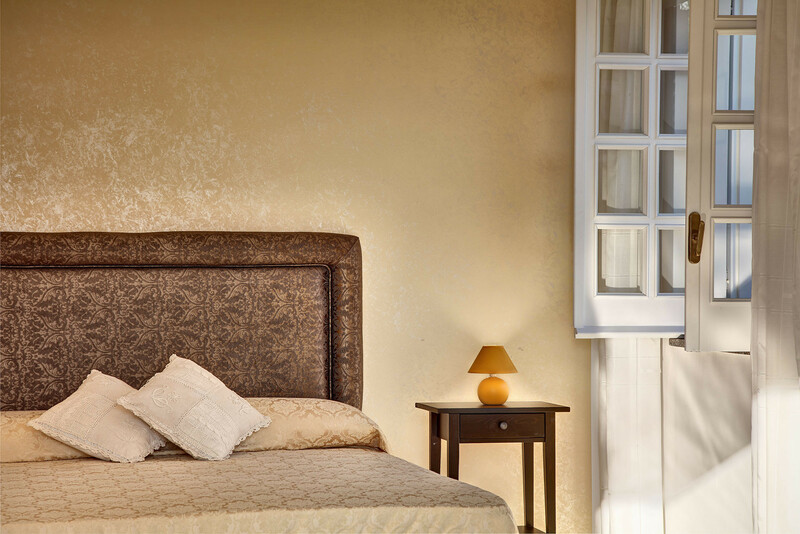 With high ceilings, a spacious wardrobe, air conditioning and comfortable double bed, you will feel truly at home. Should you wish to step outside, the double glass doors offer easy access to the garden and pool area. 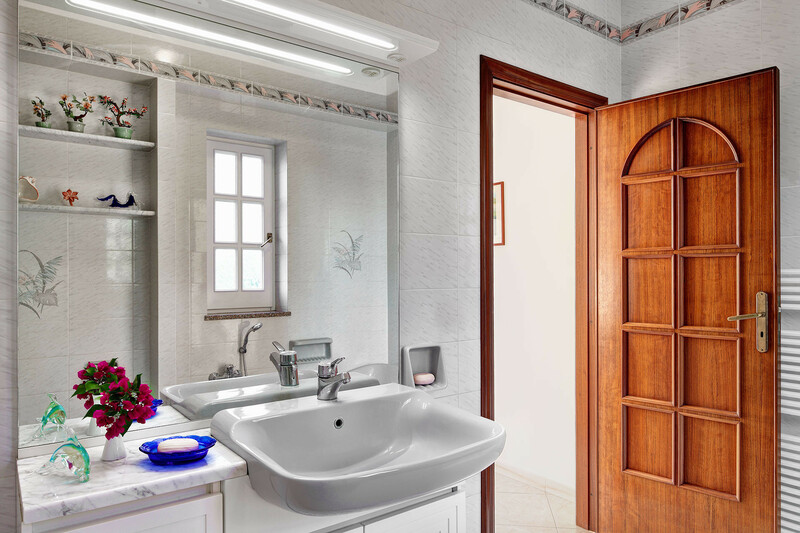 The master bathroom is beautifully decorated, with tile floors, bathtub, shower, wash basin, toilet, bidet and hairdryer, and a large window to welcome in the sunshine. The second bedroom has three single beds, two of which can be pushed together to make a double bed if required. With the same aspect as the master bedroom, this bedroom also offers glass doors through which to appreciate the breathtaking view. There is plenty of storage for clothing and other belongings, plus air conditioning. If you can bear to leave the comfort of Relais Mamma Mia, there is much to discover in the surrounding area. The village of Nerano is a hamlet overlooking a pretty little harbour, not far from Punta Campanella, the lighthouse that marks the tip of the peninsula. A beautiful walk starts in the village of Nerano and leads to the beautiful Bay of Ieranto, through olive groves thought to be planted by ancient Greek settlers in the area. 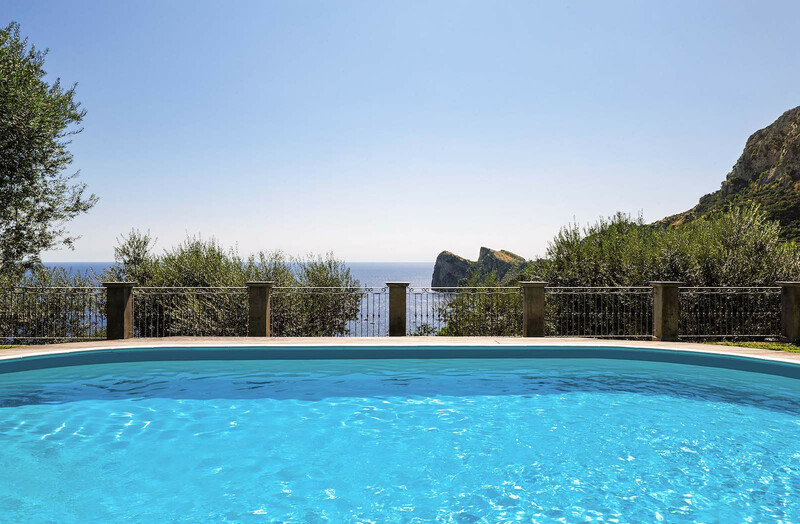 The bay is a protected area and a perfect spot for a dip in the clear waters, with spectacular views of the coastline and Capri’s famous Faraglioni rocks. 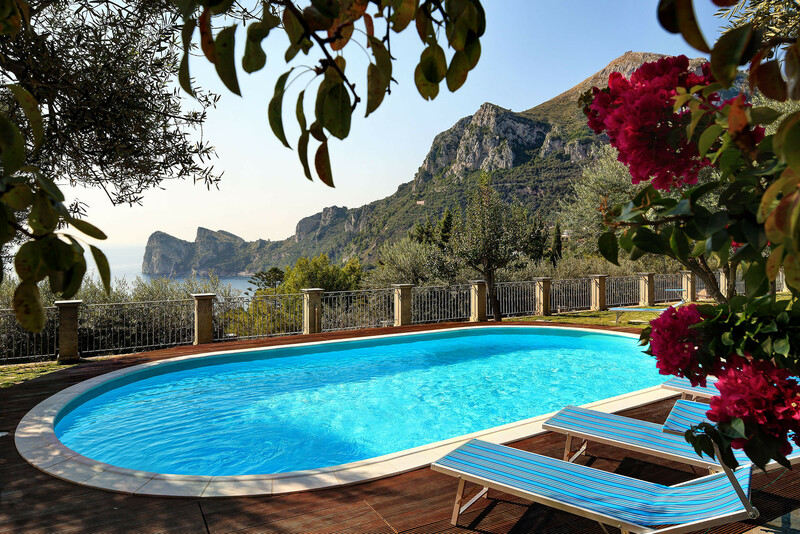 Relais Mamma Mia is a gorgeous villa, the perfect sanctuary for those looking for unparalleled peace and quiet on the Amalfi Coast. Please note: From 1 April to 31 October the Municipal Council of Massa Lubrense has instituted a mandatory tourist tax on all temporary residents. The tourist tax must be added to the total amount of stay and has to be pay cash at the arrival. 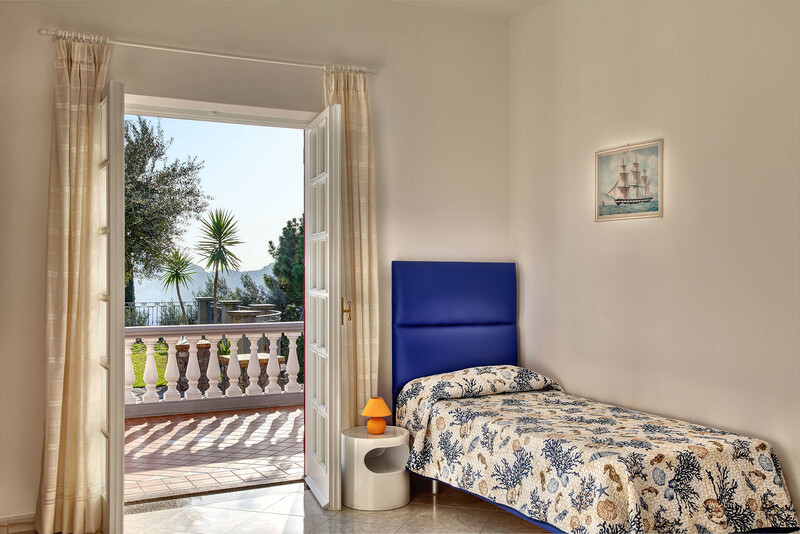 It costs 2.00 euros per person, per night, only for older guests and for the first 5 nights. 2 Double beds, 3 Single beds, 1 Sofa bed double, 1 Sofa bed. 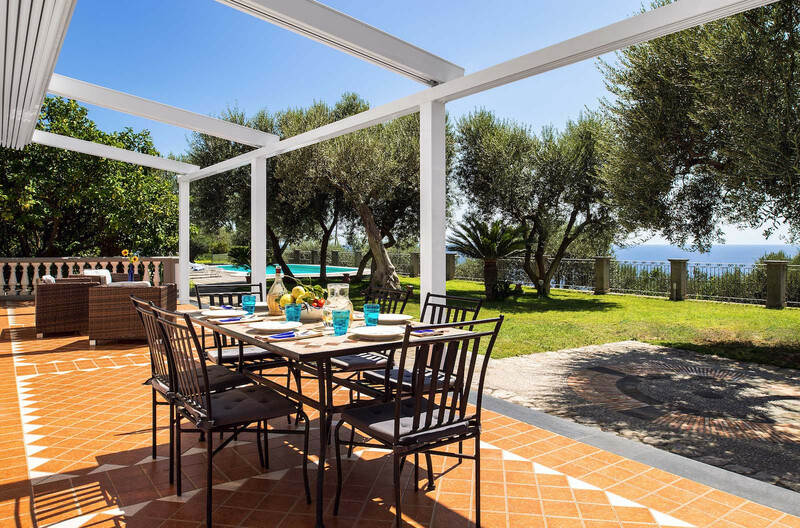 TV, TV Satellite (Languages: Spanish, English, German, Dutch, French, Russian, Swedish, Norwegian), garden, garden furniture, barbecue, iron, internet (Wi-Fi), hair dryer, 120 m² property, air-conditioned, Open-air parking (2 places). My family and I could not have been happier with the service of Feeling Italy. Our host Luigi guided us every step of the way. We felt well taken care of and relieved to know we had someone to contact with anything we needed. Luigi went over and beyond for us - we couldn't be more grateful for his services. The Villa was exactly like the photos. 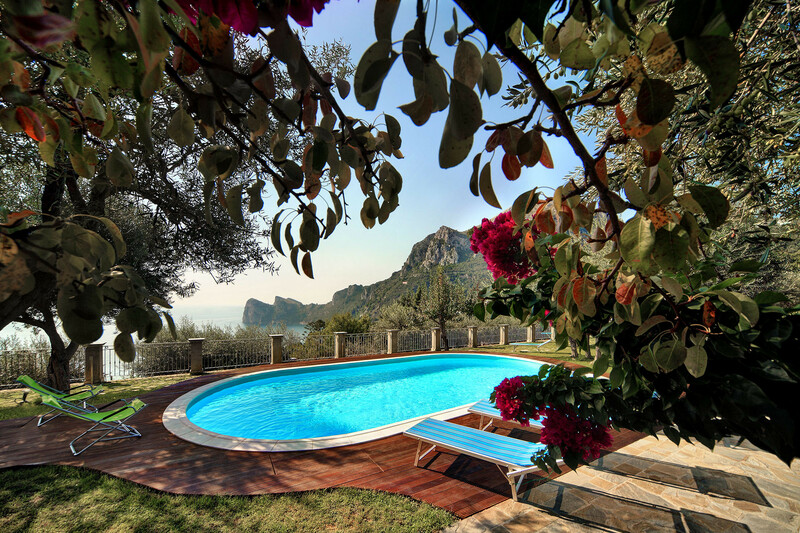 The grounds, the pool, the view are nothing short of breathtaking! The home was spacious, nicely decorated and very clean. 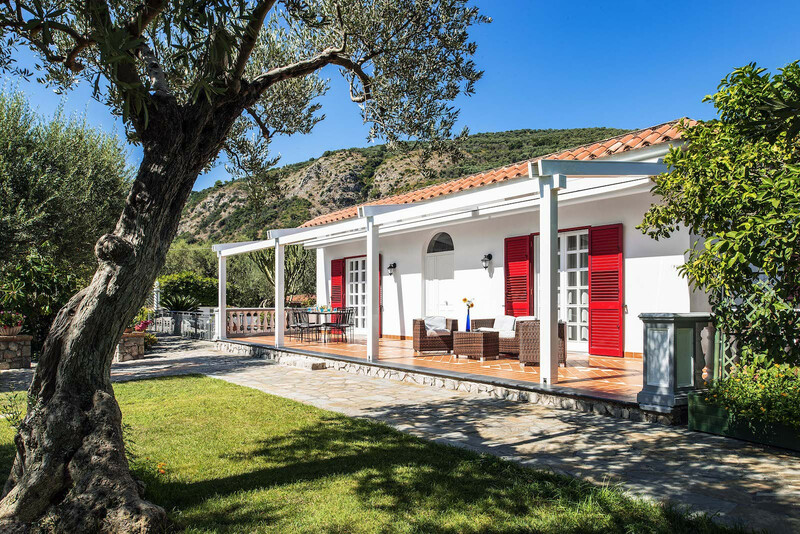 Olive and lemon trees accented with colorful flowers line the property creating a serene setting that overlooks the Mediterranean ocean and steep mountains. My family and I loved being at the villa so much, it was hard to venture away from it. We swam in the pool, showered outdoors, drank limoncello on the patio and enjoyed every inch of the property. The children were thrilled to have a large pool and space to run around and play. We cooked breakfast every morning, hired a personal chef one evening and even grilled up a few steaks that Luigi was kind enough to pick up for us. The grounds keeper who tended to the pool daily brought us freshly picked lemon and apricot along with eggs from his chickens. Two beautiful beaches are just a few minutes walk from the villa. The small town at the bottom of the hill is lined with one great restaurant after the next. Our favorite was La Serene and Conca del Sogno. The food was some of the best we had throughout Italy! We couldn't have asked for a better locationproperty. 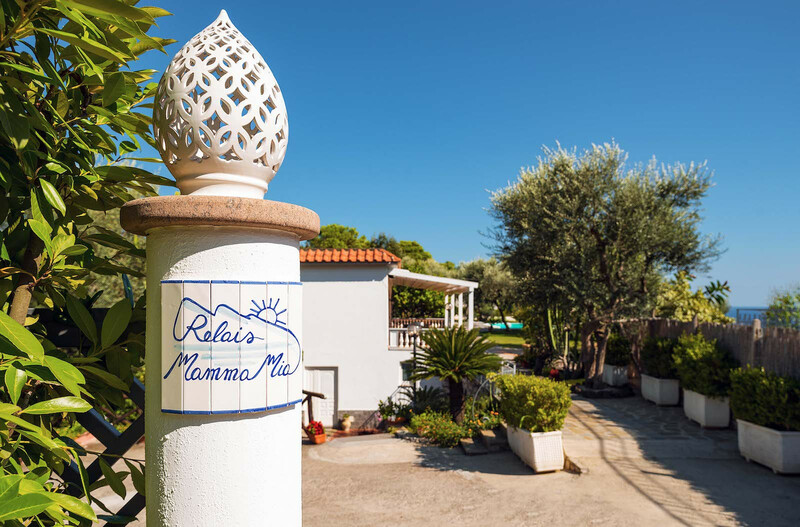 Staying at Relais Mamma Mia was the highlight of our trip to Italy. We can't wait to go back! Great location, view and super responsive Feeling Italy team! Answered all the questions, suggested few local activities and arranged the private boat trip to Capri. Highly recommend to anyone!